This summer I read an article about the newest addition to the business “endangered species” list. The last two Blockbuster video stores in Alaska closed, making a Blockbuster in Bend, Ore., the last of its kind. In truth I had all but forgotten about Blockbuster. Thirty years ago, when my children were little, rarely did a weekend go by without a stop to rent videos for the kids and us, and sadly Blockbuster was the center of social life for us and many other couples. It ruled the video rental world but failed to anticipate or respond to changing technology and changing tastes, as represented by the rise of streaming and Netflix. In the days following the appearance of that story, I encountered a couple of other examples of businesses that ruled the world, or at least the market, only to see the landscape change under them. The Toys 'R' Us near my house where it was always impossible to find a parking place now has plenty of parking, just no store. When I recently heard on the radio Paul Simon’s song “Kodachrome,” it occurred to me that the song title has no meaning for those whose camera is now their phone. They have no clue that Eastman Kodak was a household name and industry leader until it missed out on or tried to resist the development of digital photography. And now I find myself wondering, as crazy as it sounds, if the SAT might someday join that list of corporate brands that went from dominant to extinct. Shortly after the Aug. 25 administration of the SAT ended, social media outlets started blowing up with claims that the August test was identical to a version of the test administered in Asia in 2017, and that the questions from that test had been leaked and available online for months. The College Board, as is its policy, has declined to comment on whether the August test had been recycled in whole or in part, but Robert Schaeffer of the National Center for Fair and Open Testing, better known as FairTest, told Inside Higher Ed  that he had been told by sources in South Korea that the questions from the August exam had been sold for thousands of dollars for weeks prior to the test. The SAT was not administered in Asia in August, but many Asian students fly to the United States to take the test then. Last week a class-action lawsuit  was filed in U.S. District Court in Florida against both the College Board and the Educational Testing Service, claiming that both failed to live up to their fiduciary responsibility to students taking the test by recycling exam questions previously used and publicly disseminated. Scores from the August test were scheduled to be made available to students on Friday, and given that the College Board has regularly canceled scores in past cases where there was concern about cheating, a lot of students -- and counselors -- were holding their communal breath to see if scores would be released. The College Board has been embroiled in controversy regarding the SAT before, but this seems different, raising fundamental questions about the College Board’s will and ability to adapt to a changing college admission landscape and the role of standardized testing within that landscape. Does the College Board own the SAT or does the SAT own the College Board? Just as when you buy a house or car you don’t own it as much as it owns you, the SAT “suite of assessments” exercises mammoth influence over everything the College Board does. The SAT is a cash cow, generating enough income for an annual surplus around $100 million -- not bad for a nonprofit. That huge income has pushed the College Board to act like a corporate entity rather than a membership organization. But does the College Board take the SAT as college admissions test for granted? Since the hiring of David Coleman, the architect of the Common Core, as president, the College Board has been engaged in competition with ACT for the lucrative state testing market. Is the College Board devoting enough research and development to its primary product? That question is at the heart of the controversy over the August test. Security is not a new concern for the test, and the challenge is magnified by the presence of social media, where questions are made public as soon as the test is opened. But given the security issues, is recycling test questions an outdated concept? Reusing individual questions seems reasonable, but if the allegations that the College Board recycled an entire version of the test in August are correct, that would seem an open invitation to cheat, and that’s negligence. That’s where the economics of developing the SAT come into play. Blogger Neil Chyten has estimated that it costs $1,000 to develop a single SAT question and $200,000 to create a test. I contacted the College Board and asked the cost of developing a test, what percentage of test questions on a given administration are recycled, and how common it is to recycle an entire exam. The College Board responded promptly to my inquiry but declined to answer any of my questions. Of course, security concerns are not the only threat to the status quo with the SAT. This summer the University of Chicago became the most prominent among the growing number of colleges and universities that are test optional in some form. I am also seeing more colleges allowing students to self-report test scores rather than pay to have official score reports sent. Both of those trends could impact the bottom line at the College Board. 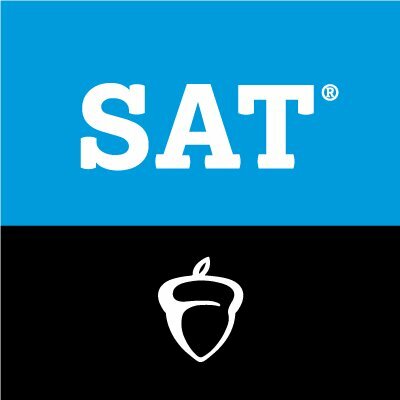 The security issue is the biggest threat to the SAT as we know it. The value added by the test is that it measures skills and knowledge tied to success in college. The easier it is to cheat, the less validity the SAT has, and the less credibility for colleges. If recycling is a societal good, recycling college admission tests may be the exception. Jim Jump is the academic dean and director of college counseling at St. Christopher’s School in Richmond, Va. He has been at St. Christopher’s since 1990 and was previously an admissions officer, women’s basketball coach and philosophy professor at the college level. Jim is a past president of the National Association for College Admission Counseling.